The availability of healthy food significantly impacts the health of a community. Without access to healthy foods, a nutritious diet and good health are out of reach for many. State data for 2007 indicates that only 20% of adults reported eating the recommended five or more servings of fruits and vegetables a day. One-third of North Carolina’s children typically consumed one serving or less of vegetables per day. 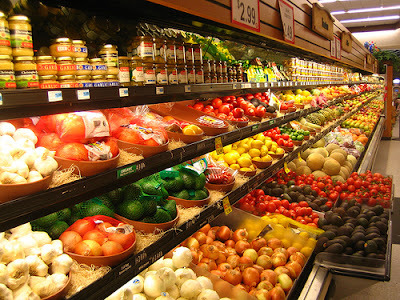 Studies have consistently shown that there are fewer supermarkets and other retail outlets selling affordable, nutritious food in low-income communities than in wealthier ones, and in predominantly African-American and Hispanic neighborhoods than in predominantly white neighborhoods. Recent research in Forsyth County reveals that only 40% of Forsyth County’s zip codes had good access to healthy food outlets such as grocery stores, produce stands and farmers markets. There are noticeable “grocery gaps” in some areas of our community. Concern about the availability of healthy, local food led to the establishment of a Local Foods Forum to consider approaches to improve the existing situation.